The name Jazz was chosen when the city of New Orleans was awarded the franchise. Jazz was chosen because of New Orleans rich music history, notably the jazz genera. 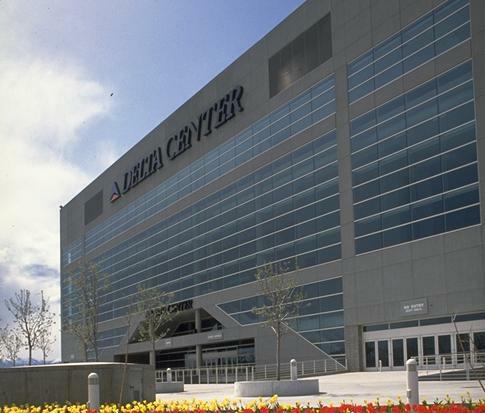 When the team relocated to Salt Lake City in 1979 the name was kept and has been with the team ever since. 1t- Karl Malone: Two time MVP, second leading scorer in NBA history, what�s not to like about Karl Malone? Well other than when he talks about himself he talks in the third person. Regardless if you like him or not, he is passably the greatest player to ever play the power forward spot in NBA history, he and Stockton lead the Jazz to their only two NBA finals� appearances, and he is probably the most recognized player to ever play for the Jazz. 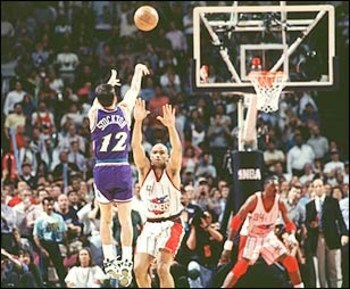 1t- John Stockton: He and Malone made the Jazz for 18 years from 1985-2003, in that time the lead the team to its only Western Conference finals appearances, its only two NBA finals� appearances, and made Utah one of the consistently best teams of the 90s. Stockton�s points per game average don�t reach out and grab you, but his assist and steals per game averages do. Stockton is the NBA all-time leader in both categories and one of the 50 greatest NBA players. 3- Adrian Dantley: AD, is quite possible the greatest forgotten star of the 80s, while his defense lacked, his scoring was phenomenal. Dantley was a 56% field goal shooter for the Jazz, and averaged over 30 points a game four seasons, a feat no other Jazzman has yet to accomplish, his 29.6 point per game average is a top the Jazz points per game leader board. 4-Pete Maravich: Pistol Pete Maravich, the Jazz first star. Maravich was traded to the Jazz for the #1 pick in 1974 from the Atlanta Hawks. Maravich was a three-time all-star for the Jazz, and the teams first player to average 30 or more a game. Maravich was also the first Jazz player to have his number retired. Many people do not realize that long before there was the WNBA, there was a woman who attempted to join the ranks of professional basketball. six-foot-three Lusia Harris of Delta State University was taken in the seventh round of the 1977 NBA draft by the New Orleans Jazz. the pick was well deserving. Harris is still one of the greatest center to ever play women's college basketball. She was a three-time All American at Delta State, Four-time All-State, All-Region, team MVP and team high scorer. set a then record of 58 points in a game, the most points by a woman in a college game until Cheryl Miller broke that mark. by the time she graduated, she held 15 of 18 Delta State team, single game and career records. When Harris was drafted by the Jazz in 1977 she thought it was a joke.